Thor: Ragnarok – Will This Team Up With The Hulk Mean The End of Thor? There are magnificent things happening in the Marvel Cinematic Universe. With shows like Daredevil and Jessica Jones on Netflix, Captain America: Civil War preparing for release, more Avengers movies in the works AND a third Thor movie, The Walt Disney Company has figured out that the biggest audience in the world right now is almost completely inhabited by nerds. A lot of those nerds have been die-hard comic book fans for generations. Seeing their heroes on the big screen is something every nerd has dreamt about and Disney/Marvel have been making those dreams come true. One of the best things that this epic team has done is make superhero movies that reflect not only the gritty, destructive worlds those superheroes live in, but the comic banter that makes reading them so much fun. Who didn’t LOVE the scene in the first Avengers movie when Hulk punches out Thor in what I consider to be purely a Joss Whedon moment of brilliance? And now, it looks like this brilliant comic duo is going to have a ton more fun. The Hulk will be in Thor: Ragnarok. And the humor will be there because at the helm of this new, darker, more serious Thor, is New Zealand comedic director, Taika Waititi. The use of comedy in action films is not only a time-honored tradition, but it makes the movies that much more exciting. Ragnarok, in Norse mythology, foretells of an epic battle that changes the course of history. In the mythos this battle kills a number of important figures like Odin, Loki and even Thor himself. Now, I highly doubt that Thor will die in this movie, because why would you kill off one of your best money-making franchises? But we’ve seen important characters die in recent years, so nothing is impossible. 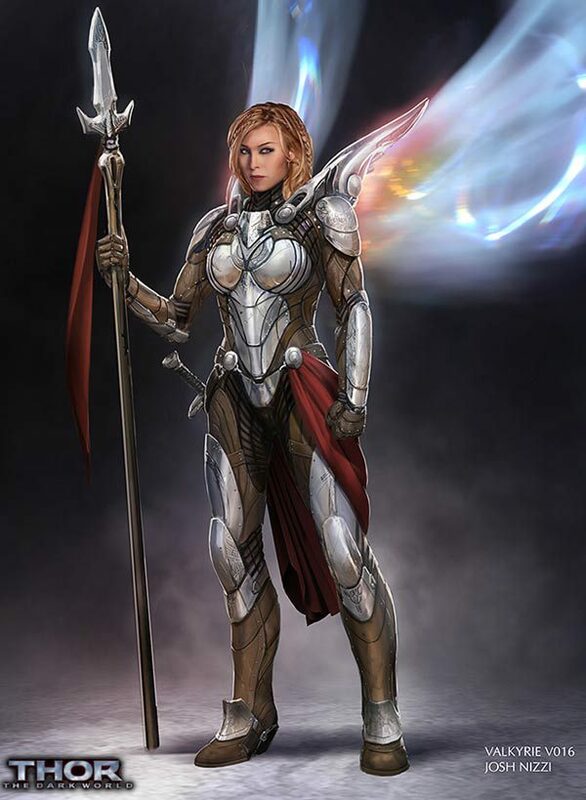 Seeing Waititi’s take on our beloved Asgaardian and the trouble his world is in, we will also get to experience the introduction of a new female character: Valkyrie. I am 100% behind bringing in this epic and fierce female superhero. And according to rumors around the geekosphere, this could be a launching off spot for a solo excursion for the silver plate clad character. Perhaps Valkyrie is supposed to take over from where Thor left off? Who can know? We’ll just have to wait and see the movie, which comes out on July 28 of next year. What I do know, is that if that little space movie that came out in December has taught the world anything, it’s that we are so ready for a badass female, staff-wielding, superhero.